Sometimes a band comes along and just blows all your assumptions out of the water. Zrazy are just such a band. I wasn’t expecting to enjoy the group as I admit to not being a huge fan of jazz. Silly me. Zrazy turn jazz and our notions of it on it’s head. Rhythms of all kinds came tumbling off the stage. Maria Walsh the lead singer grabs hold of the mike and the songs like she’s been born to it. Carole Nelson, the main writer, is on keyboards and sax and plays like a dream. The dynamics are amazing between them. The drums and bass are punchy and tight and the whole audience are taken by them. This is adult music, adult songs with adult attitude – a bloody relief after all the hype and mania of Jedward and X Factor. Funnily enough they were surrounded by kids at the end of the gig. Maybe there is hope after all. I heard Irish trad here, funky jazz and all kinds of crazy world/latin grooves and all with a singer that lets her voice go anywhere she wants. They took no prisoners. Best gig in a long time. Best kept secret I’d say. One time hobo musicians (by their own admission), and now an ineffably cool jazz duo, Zrazy’s natural home should surely be Manhattan’s Blue Note, rather than Bray’s (admittedly divine) Mermaid Theatre. 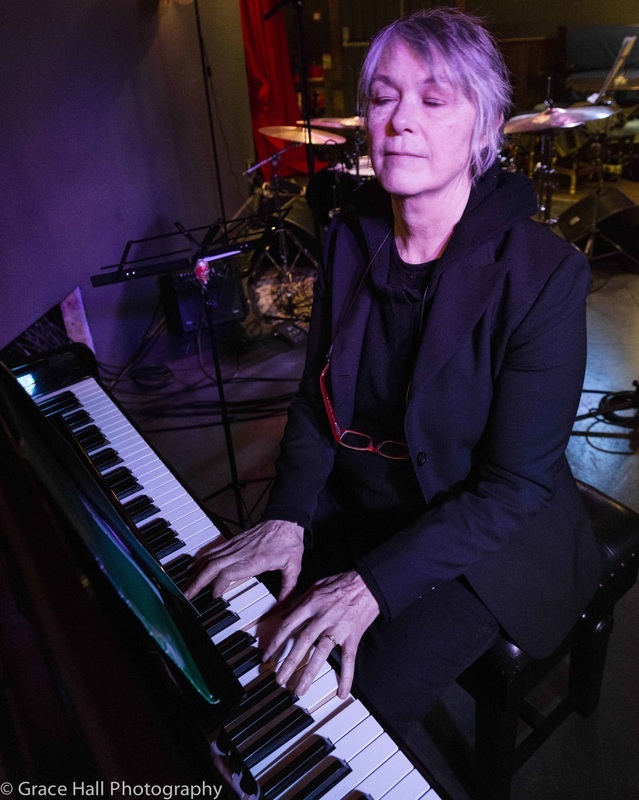 Jazz lines intersect with funk, and the odd stray samba rhythms, blissfully under the influence of Maria Walsh and Carole Nelson. The electrical current that passes tangibly between this duo who formed Zrazy as far back as 1992, suggests a collaboration that still thrives on a delicious frisson of delight in one another’s company. Their music is just about as languid as a drenched afternoon on the bayou, and yet it’s tethered to neither geography nor history. In fact, a repertoire that swings from the romance of I Know When You Are Near to the melodrama of Private Wars to and the quotidian frustrations of Parking Mad suggests that two times a seven year itch might be no bad thing for any relationship, whether personal or professional. Hammocked by the superb drums of Kevin Brady and the pin-pricked bass lines of Andrew Csibi, Walsh and Nelson took an indolent stroll through their back catalogue and lured their audience into a world where emotions stray ever skywards, only to be finally restrained by the pair’s shared delight in pulling back from the precipice with milliseconds to spare. And so, Five Birds celebrates the summer solstice with childlike wonder, Dream On delights in the thrill of sexual diversity and Ecstasy captures the indelible memories that characterise an intimate relationship infinitely better than any power ballad ever could. Even Cole Porter’s Let’s Fall In Love and a vastly re-worked take on Billie Holiday’s You Go To My Head become the sole property of Zrazy for a brief interlude. Nelson’ piano limes are as loose-limbed as a Sunday afternoon sofa-fest, and Walsh’s vocals nestle into them, drenched in a familiarity and ease born of their years together. If eardrums had grey matter, Zrazy’s music would be enough of an aural challenge to merit post-gig graduation for their punters. Instead though, most of us just left with our hips swivelling and brainwaves firing, hungry for more.